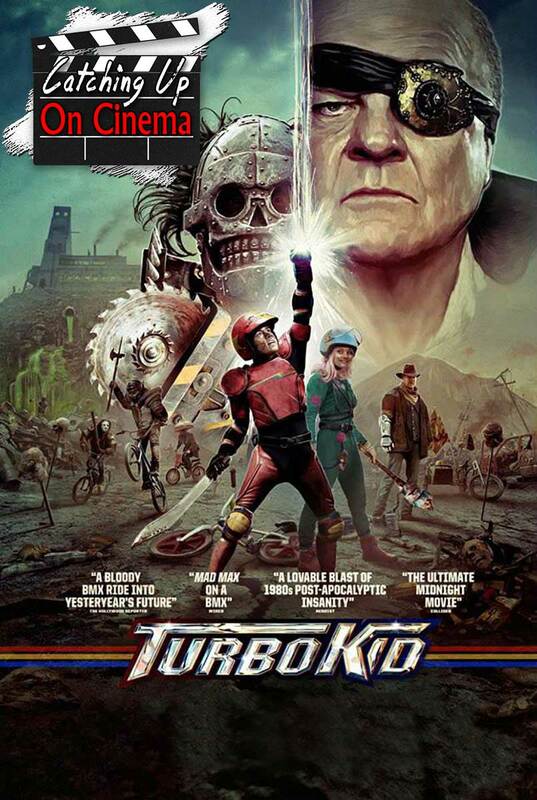 In this episode, Kyle and Trevor mutually Catch Up On the retro chique Canadian/New Zealand gore fest, Turbo Kid! Bicycles and Turbo Blasters in the post-apocalyptic wasteland! Michael Ironside wielding a golf club and grinding people into water! Badass Cowboy Kiwi teaching youths the value of a “personal bubble”. Bad guys getting sliced into “body hats”!